If You Dress Like a Cute Dog, Maybe the Cops Won't Shoot You? Police brutality is a widespread problem in America and it's no secret that some of us are more emotional about cops mistreating animals than people. 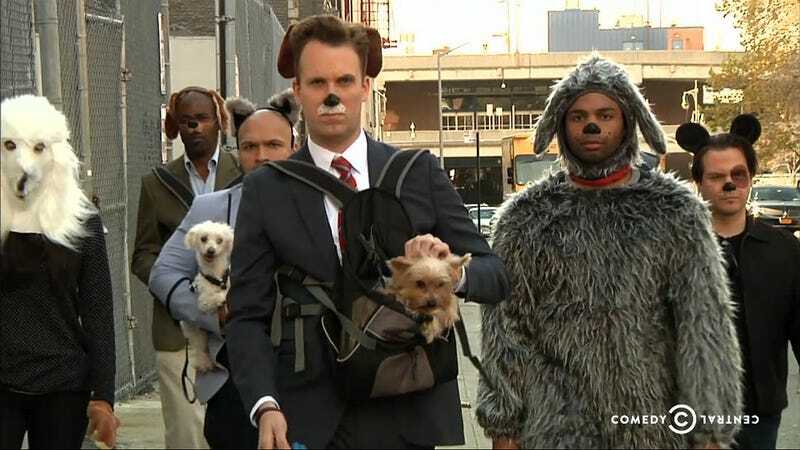 The Daily Show took that paradigm and skewered our 'save the animals but kill the people' mentality with a furry solution. Fancy a dog costume? It could save your life, yo. Image via The Daily Show.